Killer Kaya has leveled up. Their newest album, Persimmon Perspective, released December 11, sees the popular area live act growing in leaps and bounds. “Expect a ride, expect a journey,” said the band’s guitarist/drummer/producer Zach Rengert. 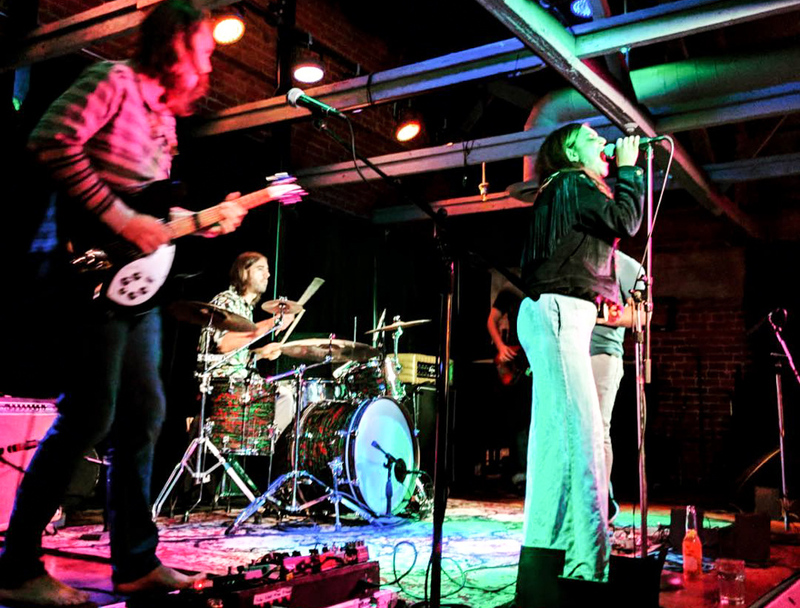 Many know the band as one of the town’s most prolific live acts, particularly of the psych-rock-funk variety. Persimmon Perspective is a psychedelic mashup of grinding guitar solos, saxophone flurries, and singer Apoorva Chiplunkar’s Grace Slick-esque vocals, all reverberating into something deliciously, fruitily groovy. On this album, Killer Kaya’s perspective leans toward the exuberant. “It’s meant to be not so introspectively serious. It’s filled with the same kind of lighthearted humor we bring to our shows; it’s meant to be something we can laugh about and joke about.” Fans of the band will recognize many of the cuts from their live sets, with upbeat bops such as “101” and spacey epic rockers like closer “Space Race.” Inspired as much by jazz-fusion acts like Snarky Puppy as by ’60s-’70s psychedelia, the band opted to run its saxophones through guitar effects pedals for a maximally trippy effect. The album was mastered and coproduced in Joshua Tree by Tommy Dietrick, the festival director behind last year’s underrated Starry Nites Festival in Santa Ynez. The band met Dietrick when they played at Starry Nites, and from there, S.B.’s underground rock scene continued to expand its borders. With Persimmon Perspective, Killer Kaya helps widen the lens of the 805’s musical aperture. It’s also worth checking out in the way it continues the 805’s cultural legacy of manifesting and exporting our unique abundance of sunshine and coastal vibes. Fun, funky, and forward-looking, it’s an exciting progression for a band whose potential continues to grow. Check it out on all the usual internet platforms.